Our Concealable Female Bulletproof Vests are doled out in the black and white color. Their design is set in compliance with the standards. And their quality is assured by us in an impeccable manner. Plus, the best thing about them is that they are lightweight, comfortable, and durable. We are coming out as the notable Manufacturer, Exporter, and Supplier of Bulletproof Vest (BPV-CF01) from China. 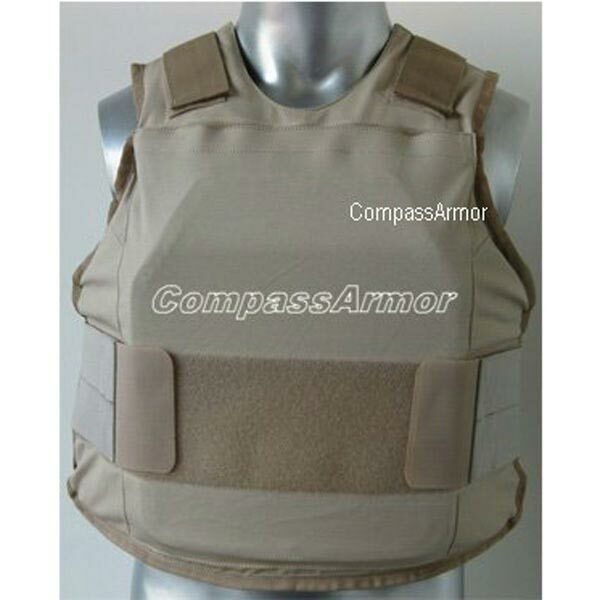 Concealed Bullet Proof Vest Level IIIA+, with inserted Panel, to stop the bullet Police Killer. The vest with the panel isn't full level IIIA+, the area of panel is level IIIA+ to stop the bullet Police Killer, others is level IIIA. Thin ballistic panel, level NIJ IIIA+ when in connection with above vest, size 25x30cm, unit weight 0.7 kg.